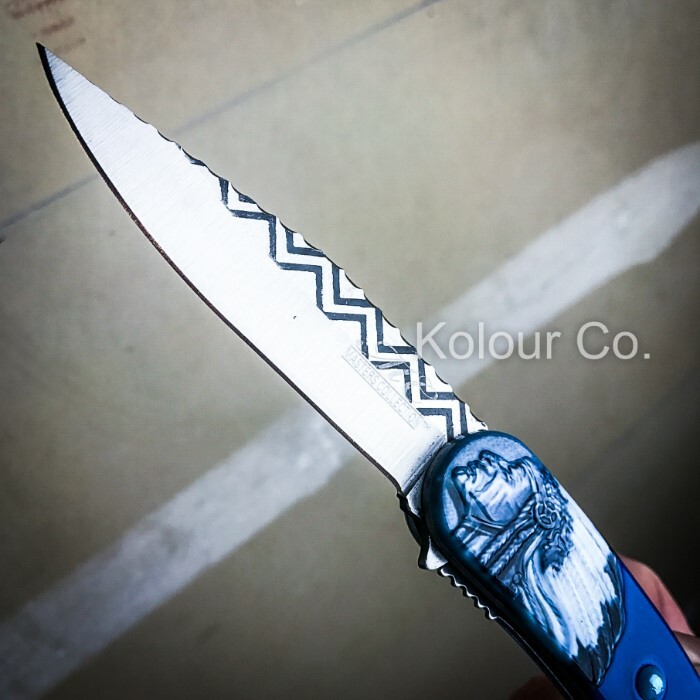 Masters Collection Native American Pocket Knife - Blue | BUDK.com - Knives & Swords At The Lowest Prices! 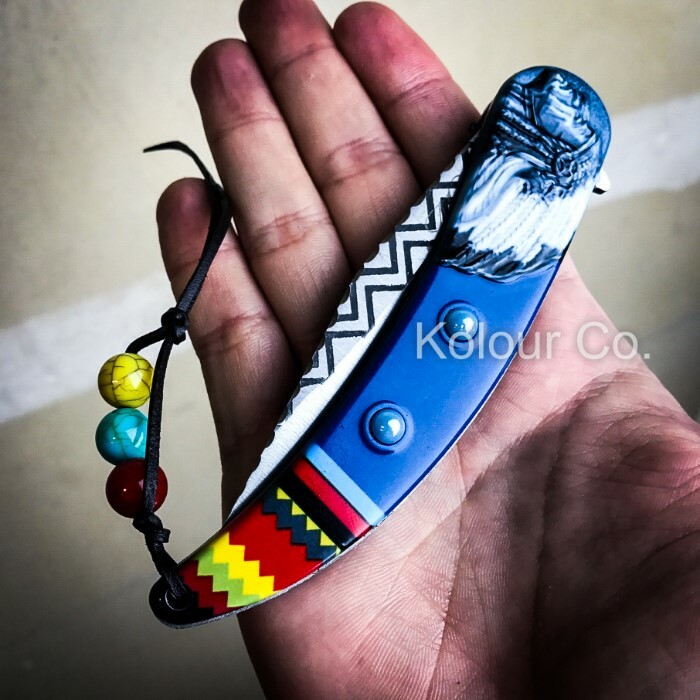 If you’re looking to expand your Western themed knife collection, this assisted opening Native American Pocket Knife from the Masters Collection is the perfect addition. It has a 3 3/4" 3Cr13 stainless steel acid etched blade and a blue stainless steel handle. 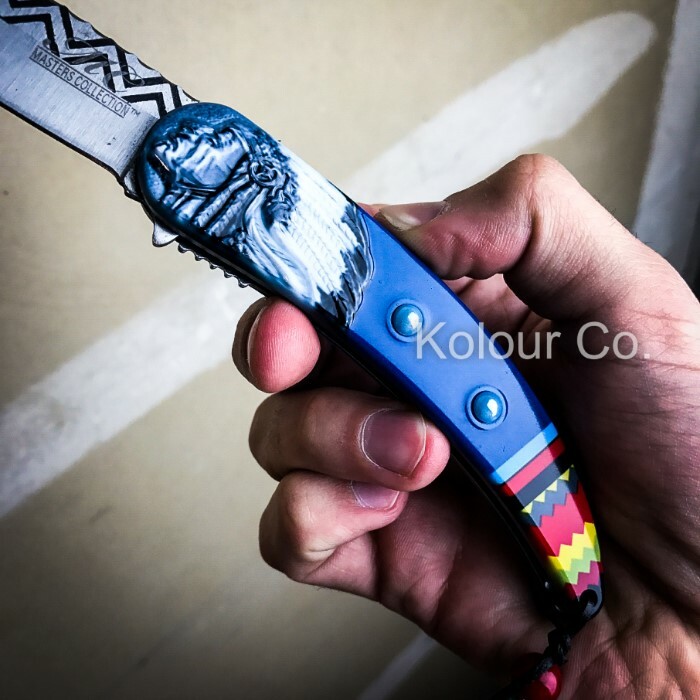 The acid etched Native American design on the blade complements the full color heat transfer print artwork and the embossed Indian head on the handle. 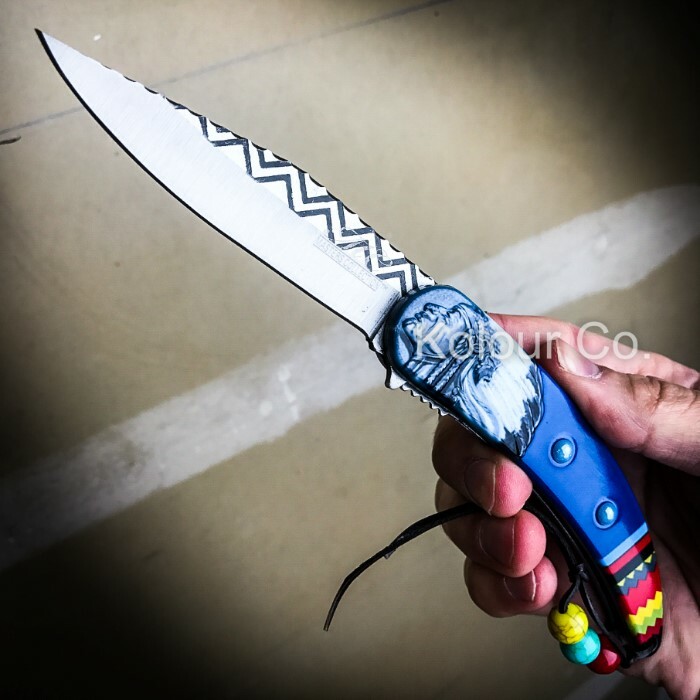 It also includes a genuine leather lanyard with beads.